My name is Shannon Harris. I am 21 years old, living in the little country of New Zealand! I am a YouTube Vlogger, Blogger and Social Media Personality. To sum me up? I live for positivity, beauty and fashion, my pets, my family and friends, and for simple happiness. I don't mind where I am in 10 years from now, as long as I am happy and content. My passion and love for makeup came early. I always used to play in my mothers makeup collection as a small child. I remember her giving me an Elizabeth Arden eyeshadow palette to play around with when I was only 12 or so - and that was only because I had ruined it already as a little kid! The palette had no lid and the eyeshadows ranged from emerald greens to bright pinks…. I would slap eyeshadow all over my face in a bid to look like those girls out of the magazines that I would read. No such luck, but it did spark an early addiction! As a teenager, I never depended on makeup until I was about to go to High School. I wanted to cover up my red cheeks and hormonal acne. My Mum bought me a Dove Tinted Moisturiser that I would wear every single day. As I got older, I started wearing mascara and eyeliner. As I grew up, I wandered into the world of YouTube. I came across Ladies and Men on YouTube putting on makeup, and teaching their audience on how to recreate their looks! I would sit there for hours on dial-up internet, absolutely captivated! About 4 years ago, I decided to start my own channel. I could never find anyone else from New Zealand to watch, and my passion for makeup was growing fast! The products that these other YouTubers were using were hard to find in New Zealand, so I thought that maybe it could be me that could teach others! I started out with little skill and almost no viewership. Now, four years later, I feel like my skills have grown hugely, and I have hundreds of thousands of people following me from around the world! YouTube became my hugest hobby and eventually my job. My makeup collection kept growing and growing. I have never been happier! I followed my dreams, last year I launched my very own brand. It was something I had always wanted, but also something that I had always told myself was unrealistic. I flicked that switch in my brain, and started to say 'I can do this! ', and now look, I did it! This is one reason positivity is so important in my life.You are the biggest barrier to conquer your dreams. You are the only thing stopping yourself! xoBeauty was founded Feb 2013. And i'm not stopping here. I always have huge goals! Stay tuned, I would love for you to experience all there is to come with me! YouTube has brought me many opportunities. Featuring in Media all over the world. Television Advertisements for our local mall, The Plaza. YouTube is something I absolutely love! It helps me meet new people, it helps me project my passion of makeup and fashion, and it has brought me so much happiness. I have this blog to further showcase products and help my viewers out even more. 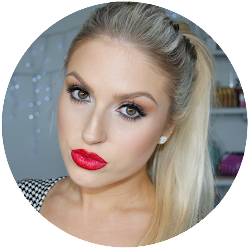 I want to show you even more swatches, reviews, products and brands than ever! I will never be able to thank my viewers and readers enough for supporting me, and helping me become who I have become. I love you all so much.